Pot was made with white Polymaker Polysmooth (not polished in the Polysher). 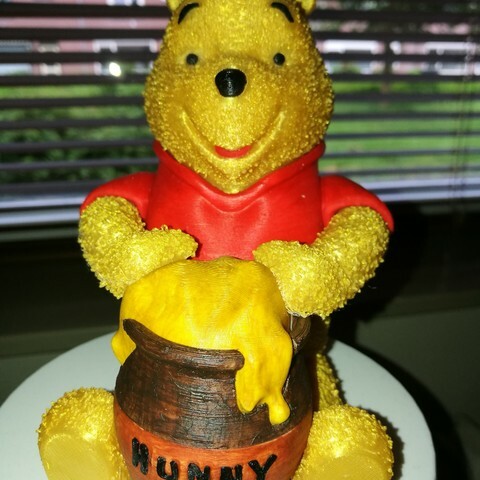 I painted it, paint was not very good covering the printed pot, but in the end it has turned out a great look, almost wooden I think. 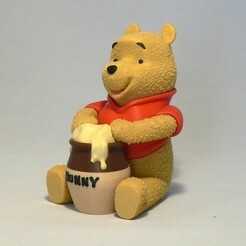 The body of Pooh was made of XYZ printing gold filament. Thank you for posting your make, it came out great! What filament did you use for the pot? 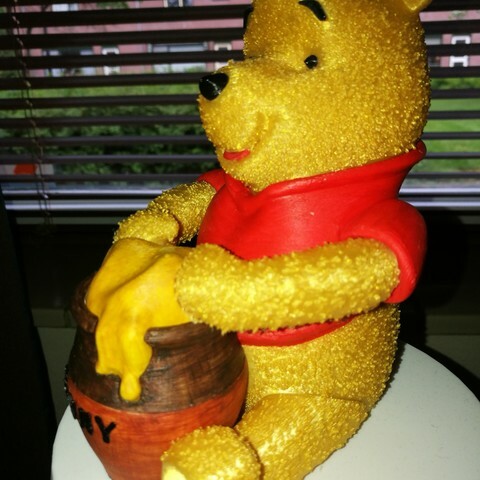 Is is translucent or did you paint it? It's a nice offsetting look to all the completely solid colors.